Do you ever feel like you woke up on the wrong side of the bed? If that seems to be happening most of the time for the past weeks or months, then there could be something wrong in your sleep cycle. There are many problems of this kind that persist for days or months (even years for some) without you ever knowing it. Around 40% of Americans suffer from this disorder. It not only affects the person who has it, but also the people they share the bed with because of frequently interrupted sleep. Apnea is a Greek term that means “without breath”. Men are more likely to have it as opposed to women. Snoring is its most common symptom because apnea happens when the throat muscles relax. Daytime fatigue is one of the most typical tell-tale of this problem and may wreak havoc on your work, relationships, and life in general. This disorder can also lead to high blood pressure. The serious discussion on sleep apnea and the adverse effects that are damaging to your work and socialization has prompted many industries to design and produce a cure or treatment for this disorder. If you have sleep debt and would want to sleep better, then you have a wide string of choices on how to do it. There may be no cookie-cutter solution to this disorder but there are different ways that can help improve your sleeping routine and get your life back in sync, without tossing and turning all night. 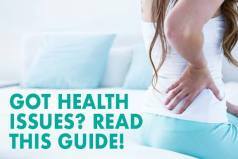 Lifestyle changes, diet, and sleeping style can help improve your obstructive symptoms. 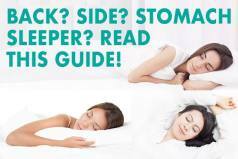 Try sleeping on your side or maintaining a good diet to slim down and see if it can dramatically improve your OSA symptoms. Even a change of bed or mattress can increase your chances of getting a good night rest. Proper head support is vital in the case of sleep apnea patients. Adjustable beds and mattresses are a great feature as they help prevent or reduce blockage of airways during the night. With the right model and also using pillows to prop up your head, as well as elevating the bed you can help lessen problematic symptoms with apnea. While the mattress is very important to achieving deep sleep and sustaining it; the base is equally important too. Try adjustable bases or power bases which are becoming popular nowadays. Adjusting your upper body to an elevated plane will help you snore less and breathe easier. There are also other technologies that can help you alleviate snoring and even get you out of bed on schedule. Some beds now have under bed lighting, massage motors, and even alarms. Choose the add-on technology that works for your lifestyle and health needs. Positional therapy is also recommended or the ability to switch positions effectively to ease the symptoms of this disorder. Best mattresses for this problem are designed to make you sleep comfortably in postures that will make way for unobstructed breathing. 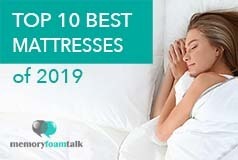 Whether you are comfortable with side sleeping, elevated sleeping, or with a supportive pillow, all of these would be possible with the best mattresses for this problem. Back sleeping is the worst position for people who suffer from this disorder and those who snore. In fact, back sleepers are as twice likely to experience it due to the back of their throats being crowded by the tissues in the upper airway (tongue, adenoids, and uvula), resulting in upper airway resistance. Side sleepers and stomach sleepers are less likely to experience apnea due to the better posture of their upper airway. However, stomach sleeping often results in neck pain as well as lower back pain when you wake up so side sleeping is recommended as “positional therapy” or “positional treatment“. Soft to moderate on the firmness scale would be the ideal level of firmness for side sleepers. A mattress like that will allow your body to sink into it a little bit, providing the much-needed hug and body contour. A model that is too firm is uncomfortable for side sleeping and you will naturally roll onto your back. It’s important to know that merely changing your mattress does not cure your apnea, especially if it’s severe. However, like we have said before, your sleeping position does affect your condition and side sleeping would be the most ideal for you. Your mattress should be comfortable and supportive enough to encourage you to sleep on your side. These 3 models that we recommend are eco-friendly, soft yet medium firm, and have a high-contour system. These factors are perfect for side sleeping, allowing your body shape and movements to mesh well with the mattress and providing the comfortable rest that you deserve. The name of this mattress suggests that it lulls people to sleep – and this is precisely what it does! Having apnea requires a certain density or firmness level to keep you from sinking within the layers of foam. It keeps you afloat as it is medium firm yet encourages comfortable and cool sleep with its soft, breathable, and top comfort layer. With a comfort scale score or rating of 5-6, the Lull certainly caters to both back and side sleepers as it elevates and supports the back preventing any pain or stiffness when in a lying down position, and encourages good air flow to prevent apnea symptoms. The Lull is made of high quality memory foam layers which ensure consistency in comfort, elevation, and body contouring as the foam conforms to your body shape and movement with precision, all of which make it one of the best models for those suffering from sleep apnea. The Tomorrow Sleep is a combination of memory foam mattress and individually wrapped coils that was created with backing from one of the industry heavyweights – Serta Simmons. Tomorrow Sleep has created a premium all foam and coil hybrid mattress that combines the best features of memory foam with innerspring coil technology in a product that is supportive yet very comfortable and sleeps cool. The Tomorrow Sleep is a great model for those suffering from apnea in that it provides the support needed to maintain a clear airway (side sleeping preferably) along with good head and neck support. 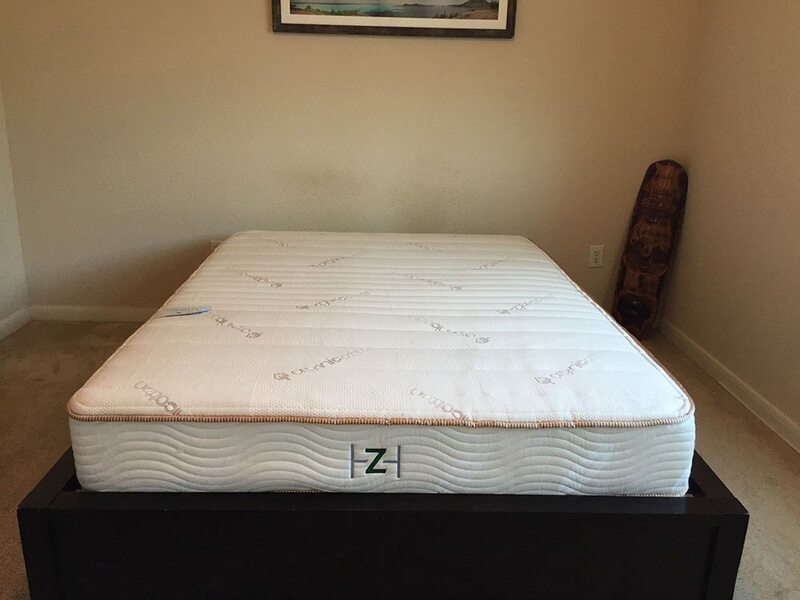 This all-natural Talalay latex foam mattress intuitively conforms to your slightest movement and curves. The Zenhaven features a 5-zone comfort layer that helps provide the enough support your need for your head, neck, and back to prevent snoring and other symptoms from disturbing your sleep. It features a sleek and innovative design that evolves with you and is attuned to your movements and provides you the body support you need. A unique feature in the design of the Zenhaven is probably the ability to choose from two different firmness levels (one on each side) – one is around a 5-6 and one is a 7-8 out of 10, with 10 being the firmest. It is proven to be hypoallergenic, breathable, promote steady airflow, and non-irritantating to the skin which is recommended for those who have allergies too. This provides that pushback feel with just the right amount of support and relieve pressure points and makes it an excellent choice for those suffering from sleep apnea and one of the best models for people with this disorder.